The Raleigh International Kinabalu Challenge will be held from November 6 to 14th November 2009. The Ministry of Culture, Youth and Sports are given the responsibilities to select candidates suitable for this challenge. Today, Sunday 4th October was the selection process which include mountain biking, jungle trekking, camping, walking, kayaking and etc. The selection process would take around 2 to 3 days, i think so lah. From what I heard, many have applied but after they were showed the videos/pictures of what they gonna endure, some of the youths ‘chicken’ out. These kind of activities are extreme – mentally and physically have to be fit. The yellow shirt is the instructor from OBB (outward bound brunei) – Hj Ramli. He is the expert and one of the key people involve in the youth selection. The bicycle are loaded to the pickup and ready to be transported to Serasa beach. The youth getting ready for the jungle trekking. This was somewhere in Mentiri Highway just before the hill. From what I saw, most of them are wearing the army jungle boot and army bag pack. One question – nda barat kah tu??? Actually a few of my friends are helping out in the activities and when I saw them cycling along Mentiri highway, I stopped and took some pictures. I used to be active in the youth activities a decade ago but now I have stopped due to my current extreme activities. But some of them are still active. Maybe if I have the time, I will join them again since they have invited me a few times to join and help. Note: Somewhere in August 1992, I applied for the Raleigh International Expedition and only less than 10 Brunei youth applied for it. We were called for a briefing/meeting just to get to know all of us. I was dropped / rejected because that year is my O level exam and the expedition would lasted for 3 months. I was frustrated. Actually I already have taken my June O level and passed it, so if was allowed to participate, I would still be able to continue my study the next year to sixth form (I already have more than enough credits from my June O level). Dude, you shouldn't have given up on the dream! I waited a whole year (and took a semester off from college) for my Raleigh expedition: Borneo 98i. We went to Brunei and Sabah, had some great adventures and did some very rewarding charity and community work. 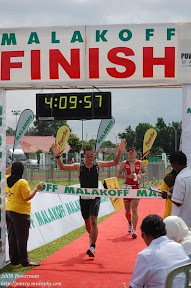 It was difficult, considering that the Asian financial crisis of '97 had left my family in bad shape, and getting sponsors was really, really hard, but I persisted through it and I'm glad that I got my second chance to go. I met some really cool people when I went; Malaysians, Bruneians and British alike. You have a beautiful country. Great people, great places. Peace out.